Dynamics of changes in brain activity, which cannot be traced during short-term EEG study, is clearly represented during continuous EEG monitoring in the form of amplitude-integrated EEG trends (aEEG), compressed spectrum and other CNS quantitative parameters, calculated by the signals received via few (1 to 5) EEG derivations. Cerebral function monitor "Encephalan-CFM" is designed to solve the problem of risk assessment of brain damage associated with a lack of oxygen (asphyxia), low cerebral perfusion, and with paroxysmal brain activity, which cause sensory, motor and cognitive dysfunctions of different severity particularly in newborns in intensive care units and is widely used in developed countries. 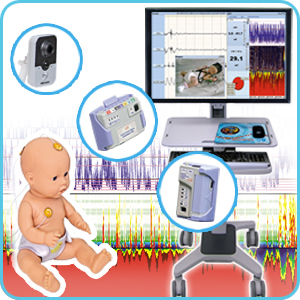 Cerebral function monitor provides continuous dynamic analysis of amplitude-integrated EEG (aEEG) for detection of perinatal asphyxia and epileptiform activity in neonatology, and for neurophysiological control in ischemic strokes and unconscious post-comatose states. Monitor "Encephalan-CFM" can be delivered in mobile and portable variants. Option of simultaneous data monitoring of up to 4 patients with representation of results at a doctor's workplace. Electroneuromyograph with option of brain evoked potentials study provides quality record of myographic signals and evoked potentials. 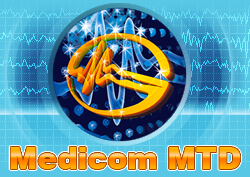 Meant for use in neurological and neurophysiological departments, sport medicine and scientific research. 2, 4 or 5-channel modifications or different software versions provide both inexpensive and elite expert class devices. Wireless connection of patient transceiver-recorder with remote control and footswitch decreases the number of wire connections and increases comfort for patients and doctors during study carrying out. The original remote control (RC) is an equivalent of a functional keyboard – it simplifies the carrying out of multiple standard tests without the use of a computer keyboard and a mouse. 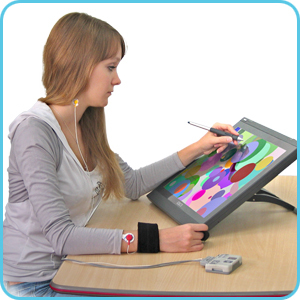 Managing a neuromyograph with a remote control is as easy as managing a TV-set remote control. 10 polygraphic channels in a patient transceiver-recorder and a large set of sensors allow creating a variety of options for multiparameter record for biofeedback training. 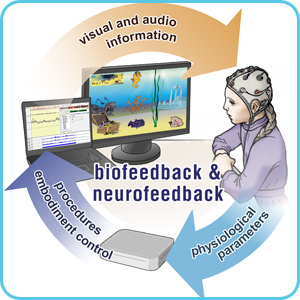 EEG record by 9 derivations provides an optimal amount of data for neurofeedback procedures. Effectively used in occupational medicine for rehabilitation, educational technologies, scientific research and for special training. 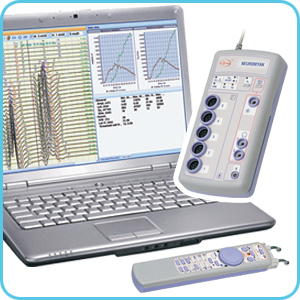 A unique option of combination of two or three patient transceivers-recorders ABP-10 with additional modules and sensors allows creating multifunctional polygraphic systems with synchronous recording of more than 30 different signals. Record of physiological parameters in apparently healthy people is applied as a multifunctional monitoring in sports medicine and studies of operator performance. Portable and autonomous equipment (data transmission via the telemetric channel or recording onto a memory card) allows conducting research under different conditions – from a stationary scientific laboratory to field conditions (for example, training at the main sport ground or in training camps). 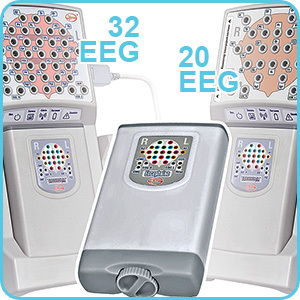 EEG video monitoring kit and the software "Encephalan-Video" in combination with electroencephalograph-recorder "Encephalan-EEGR-19/26", or electroencephalograph-analyzer "Encephalan-131-03", Cerebral function monitor "Encephalan-CFM" provide a synchronized high-quality record of video data and physiological parameters of the patient. 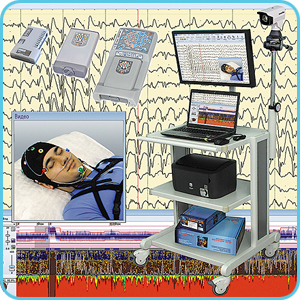 Continuous simultaneous EEG video monitoring can be carried out in specialized wards of epileptological and neurological departments with a stationary video equipment or in natural environment of the patient (e.g. at home) using portable (mobile) versions of video equipment. For the first time the company provides an autonomic video equipment kit for synchronized video record (up to 1 frame accuracy) with the EEG data onto the internal video memory card of a recorder, which sets a new level of innovation in autonomous EEG studies.The videorecorder can be used by medical staff or relatives of the patient for video fixation of paroxysmal and other behavioral manifestations during autonomous EEG/PSG studies (Holter EEG). telemetric – data transmission into computer via wireless Bluetooth© channel. Over 10-hour record of physiological data onto the memory card. As a result of the study, necessary reports on sleep statistics are generated based on automatically detected events. * AASM – American Academy of Sleep Medicine. 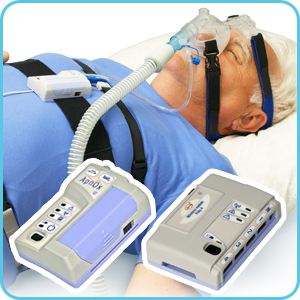 Polysomnography is a "gold standard" of sleep disorders diagnosis. Provides telemetric and autonomous record of physiological signals (from 13 and more channels in various combinations), including 2, 6 or 8 EEG derivations using autonomous patient transceiver-recorder ABP-10, wireless pulse oximeter module, other modules, electrodes, and sensors. 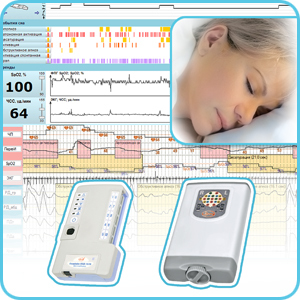 Provides cardiorespiratory disorders analysis, displaying brain rhythms power indices, EOG and EMG amplitude, parameters of respiration, movements, snoring and ECG in a form of trends for quick search of EEG patterns, identification of sleep stages, as well as for manual and automatic hypnogram building. number and duration of awakenings (WASO). Provides telemetric and autonomous record of physiological signals (from 26 and more channels in various combinations), including 6, 11 or 32 EEG derivations using autonomous patient transceiver-recorder ABP-26, wireless pulse oximeter module, other modules, electrodes, and sensors. Additionally provides detection of epileptic patterns, classification of spike-waves in relation to sleep structure, as well as various methods of EEG quantitative analysis. Extended package of reports in accordance with international standards generally accepted in somnology (AASM). When working with a PC in telemetric mode with the oversight of a sleep technologist, polysomnographs can be supplemented with a kit of video equipment (mobile or stationary) with "Encephalan-Video" software for synchronized night video monitoring. 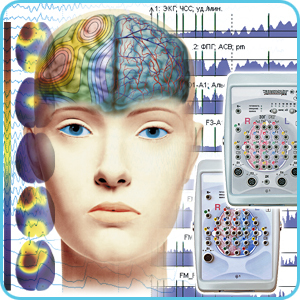 Provides visual analysis of paroxysmal activity synchronously with EEG for differential diagnosis of epilepsy and detection of symptoms of sleep disorders. There is a unique opportunity of combination of two or three patient units ABP-10 with additional modules and sensors, which allows you to create multifunctional polygraphic systems with synchronous recording of more than 30 different signals. 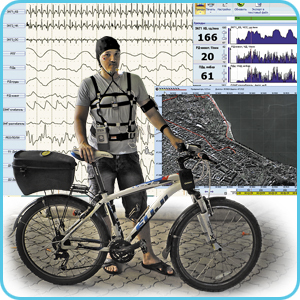 During polygraphic record of EEG and other parameters all the functionality of the main and optional software is available, which provides a wide range of applications in various fields – sports and occupational medicine, scientific research. Multiparameter record and control over the ongoing processes contribute to effective application of polygraphic system to functional biocontrol with biofeedback.